Productivity, for me, is a state of mind in which I feel accomplished by tweaking the schedule, making a little more effort, and getting things done. I wasn’t thinking about being productive until two months back. One day I realized that I don’t feel fulfilled at the end of the day. For the majority of you who perhaps don’t know that I’m a freelance writer who helps brands in content writing. One of the essential goals of every single day is to write a piece of content for clients. It’s been three years now. I feel blessed, satisfied, and content about being busy. It’s just that I thought that I wasn’t doing enough. I heard a lot about doing your favorite things first. I thought to give it a try. 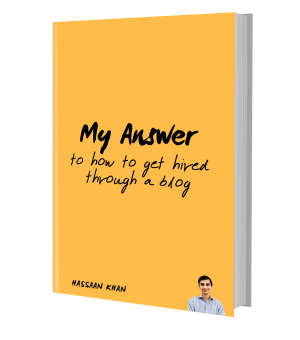 I started off writing my blog posts before clients’. To make that happen, I needed to figure out what to write the next morning. I feel good if I know what the topic is. This way, I wake up with a fresh mind, and after the breakfast, I start off writing. It isn’t about writing a full-fledged blog post. Instead, it’s about putting some effort into it. I stopped looking at the number of words I was writing each day. Usually, I was writing 1,000 to 1,500 words. What happening was that whenever I used to reach the 1,500-word mark, I used to feel dizzy and tired because the mind was programmed to believe that I have done enough. I figured it out. Then I changed the strategy. I stopped calculating the number of words I was writing each day. Instead, I started calculating the minutes I’m writing. I used the stopwatch on my smartphone to record the each lap of writing. It means that I was noting down the number of minutes I’m spending on writing content, thanks to the stopwatch feature on my Android phone. Not only did it increase my efficiency, but I also discovered that I could do a lot more than I was expecting. You might have heard about the long-form content and how in-depth articles perform better than the average-sized articles. Well, I took it pretty seriously. In the pursuit of writing long-form blog posts, I couldn’t write much, let alone it decreased my content publishing. But I realized that I have had small blog posts ranked on the first page of Google in the past. In the end, I decided to publish more blog posts even the smaller ones. I have to tell you that one of the biggest reasons for my procrastination or not being able to publish blog posts is blog post editing. I recently started blog post editing while writing it. You can disagree with me on this. Because a lot of bloggers write a rough draft, then it goes through a couple of editing phases. I know this because I have been doing this for a very long time until two months ago. But now this new blog post editing style has been helpful for me. Meaning, my productivity has increased lately. I have shared four secrets that increased my productivity as a blogger. I’m feeling better now because I shared something I learned. I can guarantee you that these productivity tips would help, at least, two of you. Have you gotten any productivity hack that you would like to share with us? Look, it’s your chance to grab the attention of tons of bloggers and business owners who would read this blog post. I know a lot of my readers are website owners, digital marketers, and entrepreneurs who would have more productivity tips to share with everyone else. Let’s talk in the comments section. I'm a blogger and freelance writer. I work with brands and help them create useful content for their blogs. I have published an eBook on freelancing. This short eBook will help you unveil the concept of freelancing and guide you how you can start off on the right foot. It’s available in Kindle and PDF formats. Buy your copy! I’ve also noticed that the pressure of writing long blog posts creates procrastination and publishing short blog posts is better than publishing nothing. Creating deadlines sometimes also results in increased productivity. Thank you so much, Luqman bhai! I’m glad you agree with that. In fact, I’ve noticed that some of the best blog posts that deliver meaningful insights and value aren’t the longest blog posts. Of course, the majority of useful blog posts are in-depth and long, but that shouldn’t be stopping anyone to write, as you said. In fact, I have first-hand experience of ranking 700-word articles in first three results on page one of Google (without buying links or spamming anywhere). So I don’t buy everything that people say about in-depth and long-form content. As far as deadlines are concerned, I don’t play well with deadlines. I start to feel anxious, sometimes. Instead, I’d finish up work quickly than stare at the deadline. I no longer worry about the length of the blog posts I write. I am here not to please Google. Not I am here to please my own self. I am here to be the part of the blogosphere. And that’s only applicable when we have the flow of new content coming in time to time. I so agree with all the points and being the writer, it is too necessary to keep up with the platform that is our identity; our blogs. Thank you for the best one, Hassaan bhai! Adeel bhai, thank you so much for stopping by. I agree with you that the length or number of words shouldn’t be stopping us to write or publish content. I have noticed that many top blogs don’t always have in-depth blog posts. Instead, they keep on pushing new content for the readers, and that’s what excites the audience. Writing is different for different people. Most of the advice that I have seen is on the lines of writing first draft free hand (without any distractions) and that sparks creativity and bring the real out. This is your right brain arguably. Then give it some time in between. Start with the editing separately. This is when you engage your left brain. I have seen many famous bloggers who follow this routine. But I agree with you too. Editing is time consuming and feels like a chore. It is uninteresting sometimes. And hence it can lead one to procrastination. It is great that you are not shy to try something different and make it work for you. At the end of the say, it should work for you and that it all it matters. Ahmad bhai, thank you so much for stopping by. I agree that putting out rough draft just to make the most out of it, or sometimes only to increase the productivity by being able to get something done helps in getting into the groove. What’s exciting is that we can try out loads of things and find the results over time. I follow many experts who believe in waking up at 6 a.m. or 7 a.m., but I’m not a morning person. I love listening to them, but I try out stuff that matters to me. What I learned about productivity is that the formula of being productive might be different for everyone. So I keep on trying things that help me become productive. Goodness I love all the tips. Especially #1. When success finds us, we can celebrate it by being true to our foundations, or by moving away to focus mostly on getting. Hey I love receiving cash like the next guy, from clients, through promotions, all that good stuff, but goodness gracious, always always always write posts on your blog before you do anything else blogging-wise. Folks have some success and focus on making hundreds or thousands by giving most of their time to clients, versus building their foundation, through blogging. Think about the passion, what is most fun, and the engine driving your business: you blog. I feel my online deal has expanded leaps and bounds because no matter what business flows my way, it is my blog first, and my writing first. My clients and customers know this, as do my promotional duties. I so much agree with #1. I found out that I feel good if I write something for my blog in the morning. We get caught up in a million things every day — and writing for your blog in the end when you barely open your eyes, isn’t a great idea. Although, I love to brainstorm in the last 15 minutes on my laptop that what I should be writing tomorrow, or what needs to be done, in case, I’m not writing the next day — that helps too. Thank you, my friend, for a beautiful comment. Totally Agreed. When we are free from stress than if we are working we enjoy our work and that is when our creativity comes out to our blog post and when we are enjoying something we try to give more time on that and can surely increase productivity. Copyright © 2019 by Hassaan Khan.